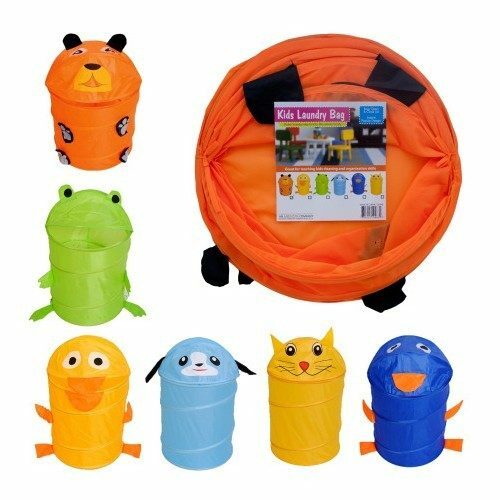 Instant PopUp Design Children's Laundry Bag Only $8.99! Ships FREE! You are here: Home / Great Deals / Instant PopUp Design Children’s Laundry Bag Only $8.99! Ships FREE! Instant PopUp Design Children’s Laundry Bag Only $8.99! Ships FREE! Order these Instant PopUp Design Children’s Laundry Bag Only $8.99! Ships FREE! Having kids clean up after themselves is tough. Give them the opportunity to clean up with the Instant PopUp Design Children’s Laundry Bag. Choose between six animals design that best suits the childs personality. Whether they are a frog, dog, or bear lover there is a laundry bag to suit them. Be prepared for clean rooms and dirty laundry with the Instant PopUp Design Children’s Laundry Bag!